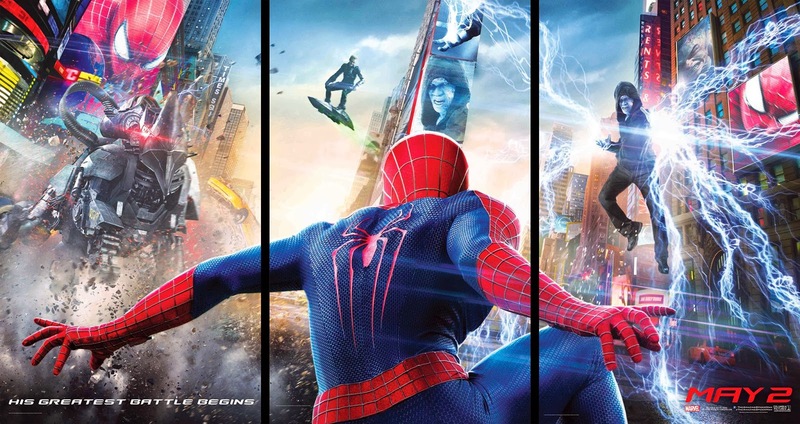 Kryptonian Warrior: The Amazing Spider-Man 2 - First Trailer And Hi-Res Poster!!! The Amazing Spider-Man 2 - First Trailer And Hi-Res Poster!!! This brand new trailer premièred today for The Amazing Spider-Man 2 and as a fan I absolutely love it... Look at all the Easter Eggs for other villains (Sinister Six? ), the epic looking battles, the beauty of those shots! Some may have been worried when the pre-CGI pics were posted up, some were worried seeing the new poster this week, but worry no more because this is going to rock! Below is the new trailer followed by the hi-res version of the poster posted up on here the other day. Enjoy!